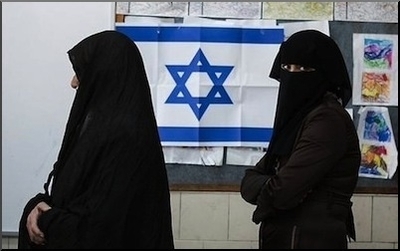 BDS vs. Israel: The True "Islamophobia"
Israelis wait in line to vote, March 2015. "Islamophobia," which carries with it implications of viciousness, pain, and disease, is not considered a neutral term, either by Muslims who accuse others of it (including some moderate believers in Islam), or by those who supposedly spread it. "Islamophobia" suggests deliberate, if not deranged, hatred and cruelty toward Muslims. But who does the most harm to Muslims? At Western colleges and universities, where charges of "Islamophobia" might wreck careers, a movement flourishes to punish the state of Israel. It is designated the "boycott, sanctions, divestment" (BDS) effort. A recent BDS uproar at Bowdoin College, a liberal arts college in Maine, described by Jeffrey Herf in The Times of Israel, ended when students rejected its strictures by a large majority: 71 percent against, 14 percent for, 15 percent abstaining. The BDS campaign was coordinated by a group visible on numerous campuses, "Students for Justice in Palestine" (SJP). No visits to Bowdoin by anyone acting as a representative of an Israeli institution. The anti-BDS organizers emphasized that such measures against Israel would distort discussion of Israeli-Arab issues, limiting the academic freedom of Bowdoin faculty and students. But other matters, seldom addressed, also deserve notice in the debate over BDS. Muslim Israelis attend the country's state-supported universities in large numbers. A BDS prohibition on partnership with Israeli institutions in the preservation of antiquities cannot but remind us of the ultra-Wahhabi Islamic State and its doctrine that ancient monuments merit demolition. If Israel does not gain international assistance in protecting historical objects and structures, how can the world learn about them? Israeli academics include some outstanding experts on Islamic history, theology, and literature, as well as Jewish, Christian, and other sources of interest to Muslim scholars. Israeli academic works are typically serious and thorough. Does excluding their voices from audiences outside Israel benefit the ostensible Arab victims of Israeli policies? In addition, Israeli Arab students—Muslim, Christian, and Druze—attend the country's state-supported universities in large numbers. They prepare for professional careers and engage in intellectual affairs at a higher level than in most Arab countries. Institutions like the Hebrew University of Jerusalem and Tel Aviv University, among others, are ranked with the best in the world. There are no barriers to qualified Israeli Arab men and women studying sciences, mathematics, or medicine there. The cost of higher education is low in Israel, for Jews and Arabs alike. Israeli authorities further support the Al-Qasemi Academy at Baqa Al-Gharbiyya on the "Green Line" that demarcates the West Bank. 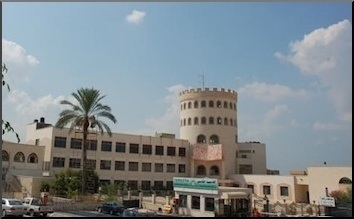 Al-Qasemi is a teachers' college with training in Islamic jurisprudence and Sufi metaphysics as well as a program in Arabic that promotes adaptation of that language to modern developments in science, literature, and the arts. The majority of the 1,600-plus students at Al-Qasemi are women. As happens so often in controversies over Israel and the Arabs, BDS battles are waged by academics and other parties outside the country, distant from its realities and, finally, ignorant of the extent of Jewish-Arab cooperation in Israeli public life. Such armchair criticism helps Islamist radicals and especially Iranian advocates to paint Israel as a "racist" state. The very evocation of "boycotts, divestment, and sanctions" attempts to place Israel on par with South Africa under apartheid. BDS supporters count on politically correct standards to condition Western faculty and students for robotic acceptance of their allegations.